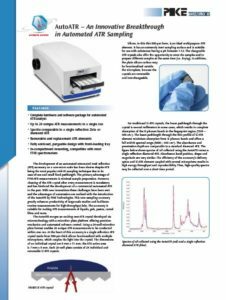 AutoATR is an automated ATR microplate reader that allows the measurement of 24 samples in one run. The product is the result of a cooperation with PIKE Technologies, the leading manufacturer of accessories for FTIR, NIR and UV-Vis spectrometers, including attenuated total reflectance (ATR). We integrated our Universal ATR Crystals into a 24-well micro plate. This enables 24 unique ATR measurements to be conducted within one run. 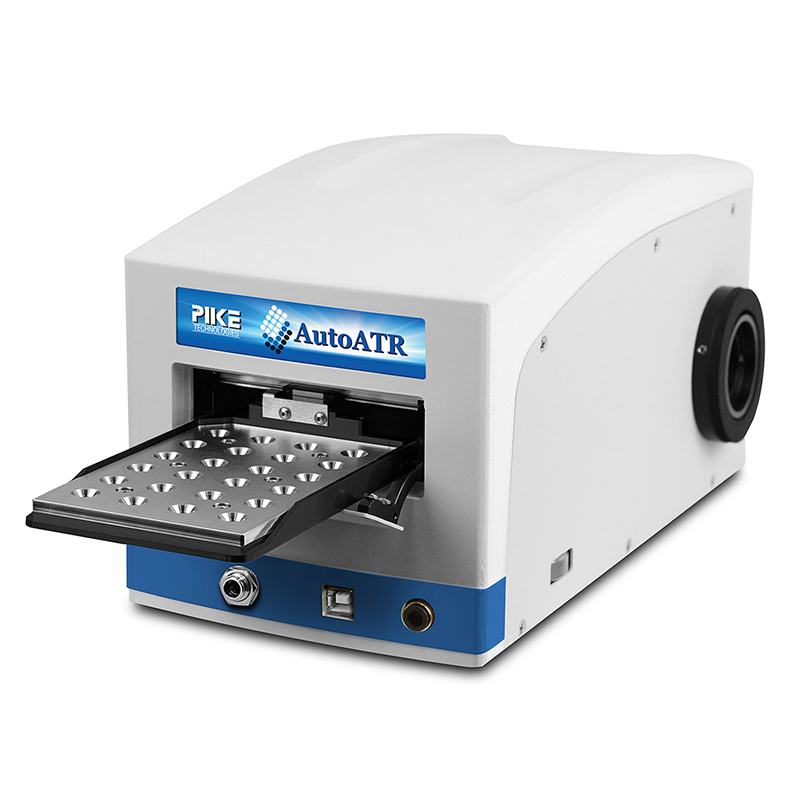 The AutoATR is designed to fit into the sample compartment of most FTIR spectrometers. You can find more information in the pdf provided below. If you have more specific questions to our ATR crystals, please use the contact form. I would like more information about AutoATR.